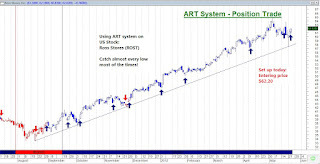 Daniel Loh: US Stock Tip using ART system: Ross Stores (ROST) the best Retailer in America! 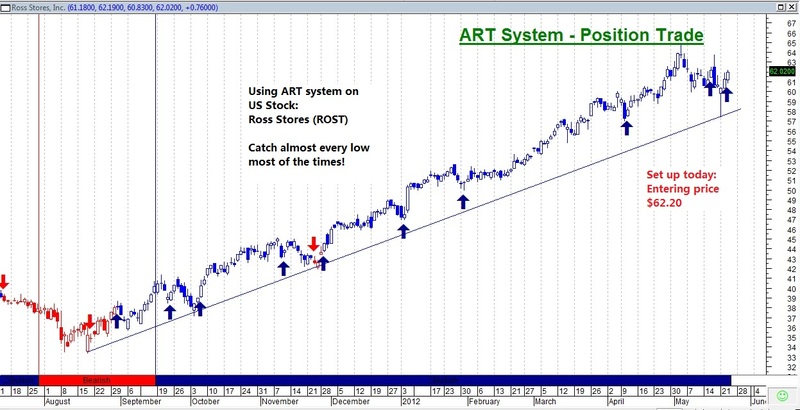 US Stock Tip using ART system: Ross Stores (ROST) the best Retailer in America! This is a typical Growth Stock that is worth holding for long term. May play short term too! Using our ART Team - Position Trade system, we screen out this stock with a Great setup. Entry price at $62.20 tonight if it touches. See that it almost always catches the low of the trend everytime? Works wonderfully with Singapore Stocks too!! !